Lewis College of Business, Detroit’s first black-owned business school, is a two-year, private, co…. Lewis College of Business, Detroit’s first black-owned business school, is a two-year, private, coed business college. LCB began at the onset of the Great Depression in 1928, when Dr. Violet T. Lewis, an African-American woman, began the school in Indianapolis, Indiana. At that time, the segregation laws did not allow African-American students the opportunity for postsecondary education. In 1938, Dr. Lewis was asked by the Detroit Chamber of Commerce to consider opening a business school in Detroit, Michigan. Finding no vocational schools in Detroit that would accept African-American students, she opened a branch of the school in 1939. In 1978, the Indianapolis branch merged with the Detroit branch to form the present school. The Lewis College of Business has since stood firm in its premier objective of providing higher education to African Americans. Recognizing the institution’s historical significance, the Michigan Historical Commission erected a Michigan historical marker in 1987 at the first permanent site of the College in Detroit. That same year, the U.S. Secretary of Education designated Lewis College of Business as a Historically Black College and University (HBCU); LCB is one of four HBCUs in the northeast section of the country. LCB offers both academic and technical programs that provide entry into the job market or transfer privileges to a senior college. 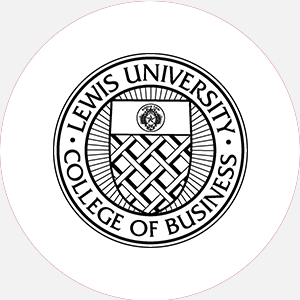 Lewis is committed to serving students in business-related professions and meeting the academic, cultural, and vocational needs of students from a wide range of academic preparations and backgrounds. Lewis College of Business is accredited by the North Central Association of Colleges and Schools (NCACS) to award the Associate of Arts degree. The school also awards certificates in typing and stenography. Rolling admission; September (fall); January (spring). Students must graduate from an accredited high school (or equivalent), submit an official high school transcript, and take a college placement test. A application fee is required. Admission Application Deadline: Rolling admission; September (fall); January (spring). Admission Contact: Director of Admissions, Lewis College of Business, 17370 Meyers Road, Detroit, Michigan 48235; Telephone: 313-862-6300 Ext. 239, 240, or 203; Fax: 313-862-1027=. A minimum of 60 credit hours and completion of the core requirements, including 3 hours of mathematics, one computer course, and a minimum 2.0 GPA, for the Associate of Arts degree; a minimum of 30 credit hours and completion of the core requirements for certificates. August-April (semesters) Commencement and conferring of degrees: April Two summer sessions. Associate of Arts: Accounting; Computer Information Systems; Executive Administrative Assistant Studies; Hospitality Management; Legal Administrative Assistant, Management; Marketing; Medical Administrative Assistant; Medical Billing; Medical Office Assistant Studies; Word Processing.